The Breitling for Bentley 6.75 Midnight Carbo is a deep black, ticking tribute to the biggest Bentley engine, the famous 6.75-liter version that powers Bentley’s Mulsanne limousines. In this article from my blog, Watch-Insider.com, I reveal photos and technical details directly from the brand. This new version of the Bentley 6.75 chronograph watch, according to Breitling’s press release, “ramps up the power and the audacity in an entirely black-clad limited series… This midnight-hued livery, achieved by a special ultra-resistant carbon-based treatment [DLC], enhances the sporting style of the satin-brushed steel case with its taut, dynamic lines and its knurled bezel inspired by Bentley’s famous radiator grilles. “The dial also exudes dark elegance, enhanced by a vertical open worked motif offering a glimpse of the movement. The caseback springs its own surprise, since the five-spoke motif reprising the distinctive design of Bentley wheel rims also appears in black against the metallic background. 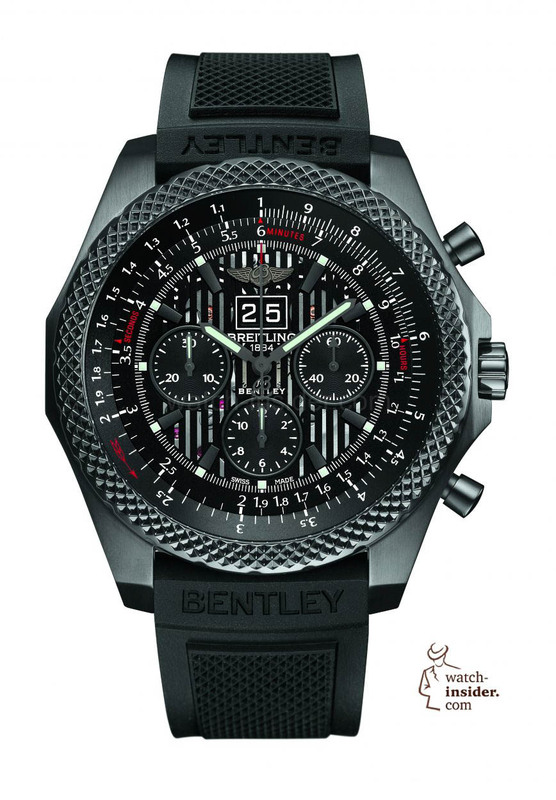 The Bentley 6.75 Midnight Carbon is issued in a limited edition of 1,000 pieces and comes on a rubber strap with a central raised motif that echoes the pattern on the bezel. More specs on the new watch — which will be priced at $10,945 — are below the photos. Case: Black steel; diameter = 49 mm; water-resistant to 100 meters; screw-locked crown; rotating pinion bezel with variable tachymeter (circular slide rule); curved sapphire crystal, glare-proofed on both sides; special decorated back. 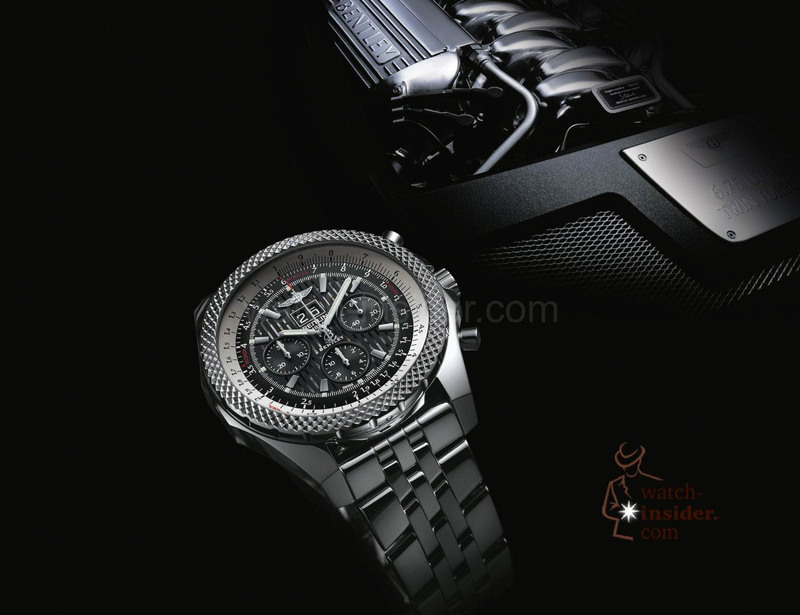 Check out my blog for lots more Baselworld 2014 product previews and breaking watch industry news! Nice and lovely, wish l can wear it but l can’t afford ii. My dream watch. The Bentley Midnight Carbon is my favourite of the week!! Right size good looking but not worth that money! !